Cathy has extensive experience in investigations specializing in Health Fraud relating to multi-million dollar frauds involving physicians, pharmacists, and hospitals. She also specializes in insurance fraud and privacy investigations relating to the Personal Health Information Protection Act (PHIPA). Cathy was a team leader in charge of five detectives in the Anti-Rackets Branch where she case managed, investigated and supervised large complex fraud investigations. She authored numerous complex search warrants and production orders and prepared comprehensive electronic court briefs. Cathy organized and supervised the execution of numerous multi-location search warrants simultaneously. Cathy has lectured and presented to various organizations on health fraud investigations. She has also presented to organizations on how to conduct audits, interview witnesses and preservation/continuity of evidence. 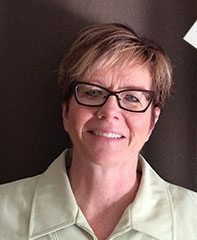 Cathy is a fact finder with the Ontario Minor Hockey Association investigating code of conduct issues (abuse, bullying, and harassment) involving players, parents, coaches and members of hockey association boards. She is also a member of Ontario Minor Hockey Association hearing panels in relation to discipline of members. She actively investigates and imposes discipline on code of conduct matters related to her local hockey association members. Ministry of Health and Long Term Care, Ontario College of Pharmacists, Ontario College of Physicians and Surgeons, Alberta Health, College of Nurses and numerous private insurance companies.